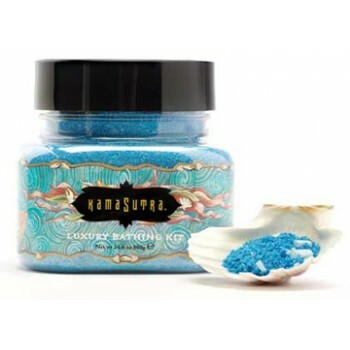 Transform your bath time into a silky sensuous treat with Kama Sutra Treasures of the Sea. after a bath in this luxurious blend of sea salt, sea weed, and organic moisturizers you will feel refreshed and ready for love. The fresh, clean smell is amazing!